Last month we celebrated our National PTA founders by taking a look back at the history and legacy of our proud association. Through our collective voice and actions PTA has accomplished so much. This month we are focused on the future. Earlier this month, PTA members from across Florida participated in the National PTA Legislative Conference and visited legislators on Capitol Hill. 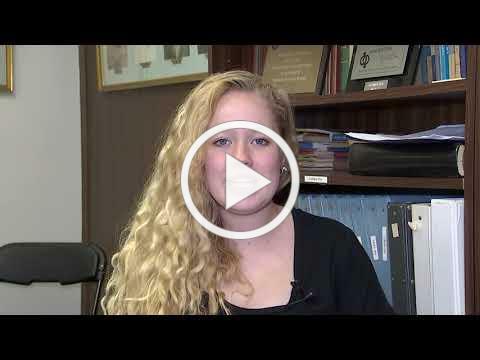 Our ask to Congress centered on providing equitable and continued investments in kids. PTA is urging Congress to build off its recent investments in education and increase crucial and necessary federal funding to benefit our nation’s children. We also asked members of Congress to support the designation of the week of March 25 through 29, 2019, as “ Public Schools Week ”. I hope you will find ways to recognize and celebrate public schools next week. 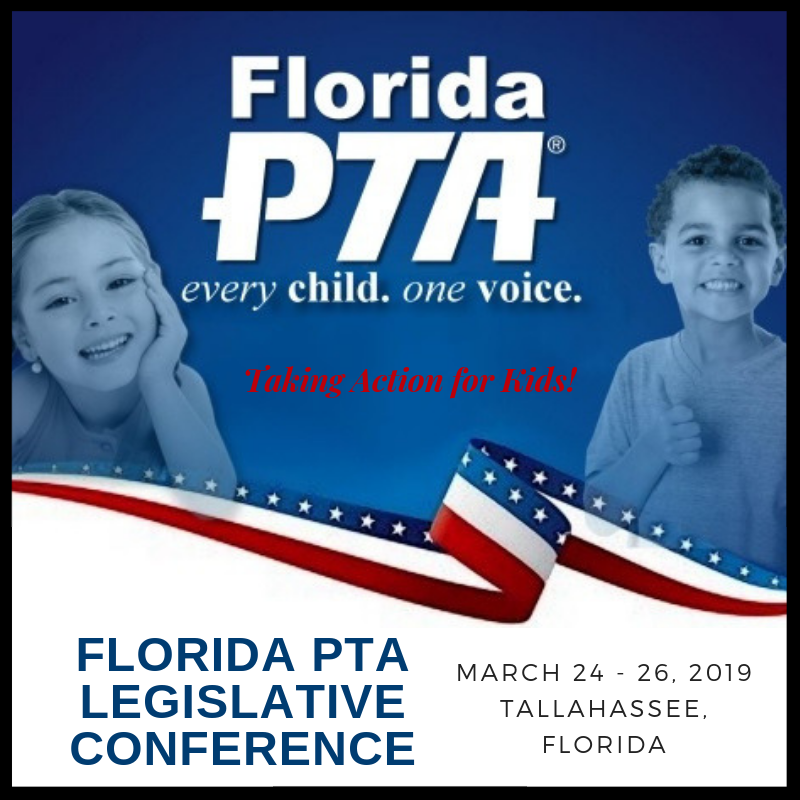 I am excited to share that over 100 PTA delegates will be in Tallahassee beginning March 24 for the Florida PTA Legislative Conference and Children’s Week where we will definitely be celebrating and supporting public schools. There is still time to join us . This is a great opportunity to take direct action during Florida’s short legislative session to improve the education, health, safety and well-being of ALL of OUR children. Whether you can join us in Tallahassee or you advocate from home, we will need your voice in the coming weeks so please stay tuned for Legislative Action Alerts where your 30 second phone call or email can make a real difference in the future of Florida’s children. 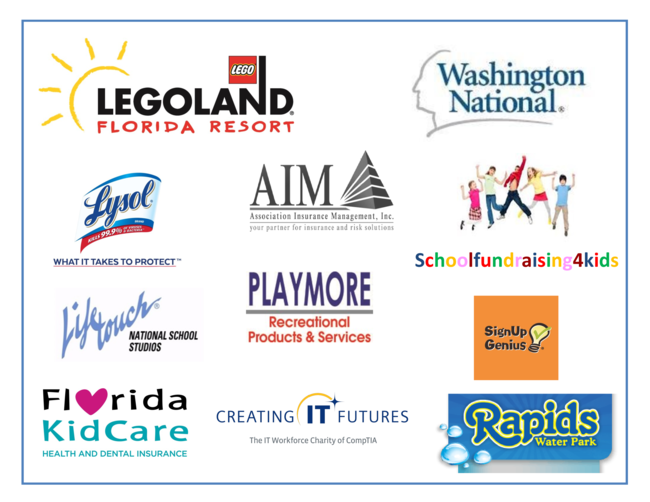 One of the most effective ways you can help every child reach their full potential is by participating in this summer’s Florida PTA Leadership Convention. This year’s event will be filled with leadership training opportunities, informative programs and workshops, and opportunities to network with fellow volunteer advocates from across the state. 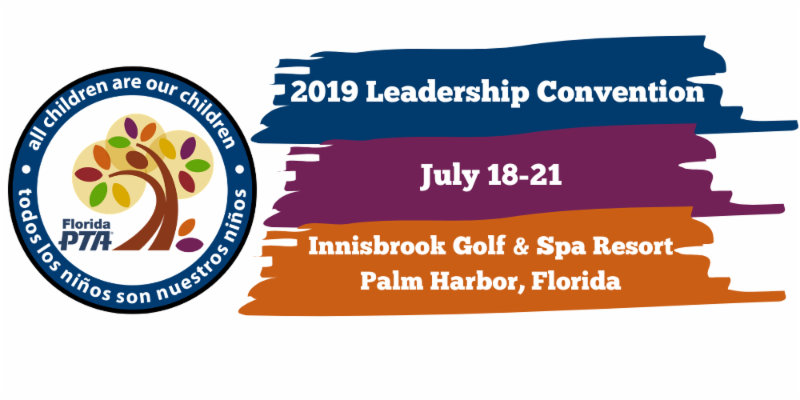 Registration for the July 2019 Florida PTA Leadership Convention is now open! Also, please stay tuned for information coming soon regarding two new initiatives. 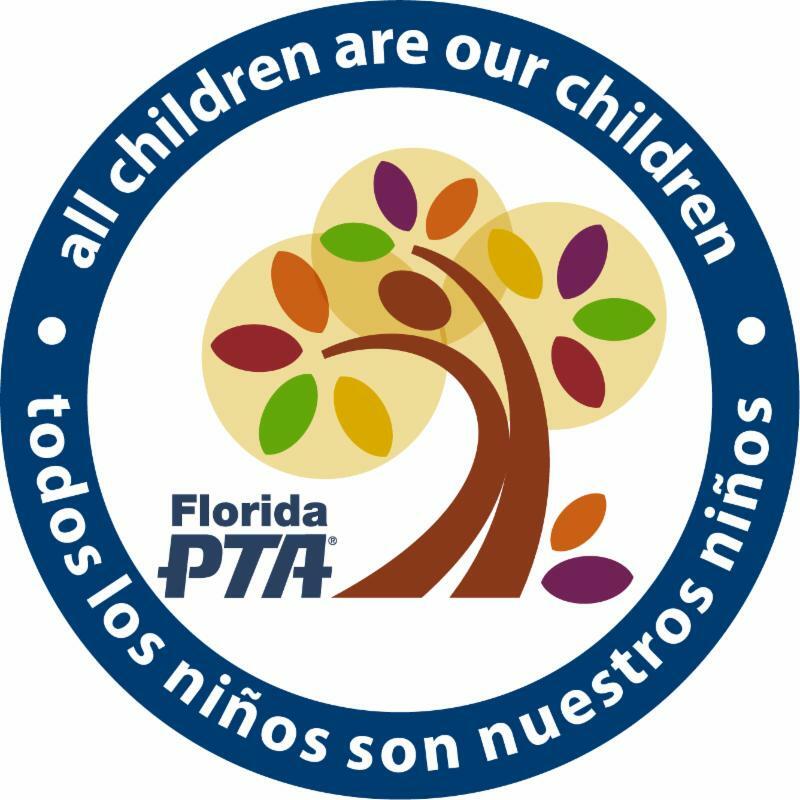 Florida PTA has begun work on creating a cohesive strategy that will increase awareness of PTA in Hispanic/Latino families aimed at increasing engagement and membership. We are also beginning a two year project focused on ensuring parents and families have access to education data, are able to interpret this data, and can use this data to advocate for change. 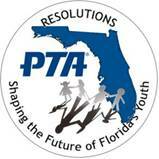 Local leaders, you have the opportunity to significantly impact the future of PTA in Florida. Please sign up for MemberHub now. MemberHub is an online tool designed to help you run your PTA and stay connected to your members, and we’re providing it to all local units, councils, and districts free of charge! Finally, please don’t forget to apply for Florida PTA awards . We want to celebrate and share all the great things our volunteers do for their school communities. Thanks for all you do to make the future brighter for ALL of OUR children. What a great event that Alachua County hosted after being awarded a STEM grant from National PTA! The grant enabled Alachua County to feed families and have them engage in science activities. They also invited their district's robotics department, and other organizations in the community who promote science. 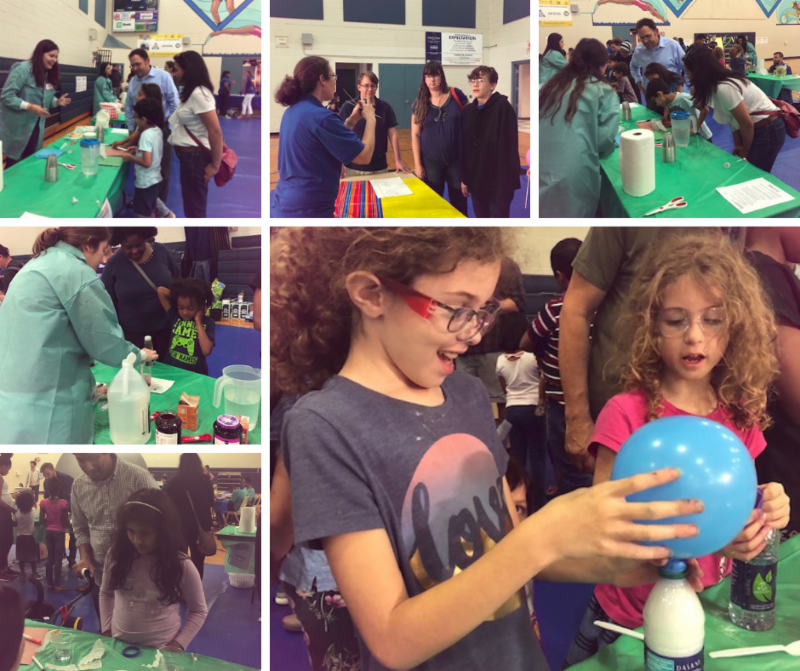 Also invited was the American Society of Microbiologist Gator Volunteers (students from the University of Florida) to run the experiments so parents could enjoy the evening. There were posters, surveys and some experiments in Spanish. It was very cool to see our volunteers explaining the experiments in Spanish to our Spanish speaking families! 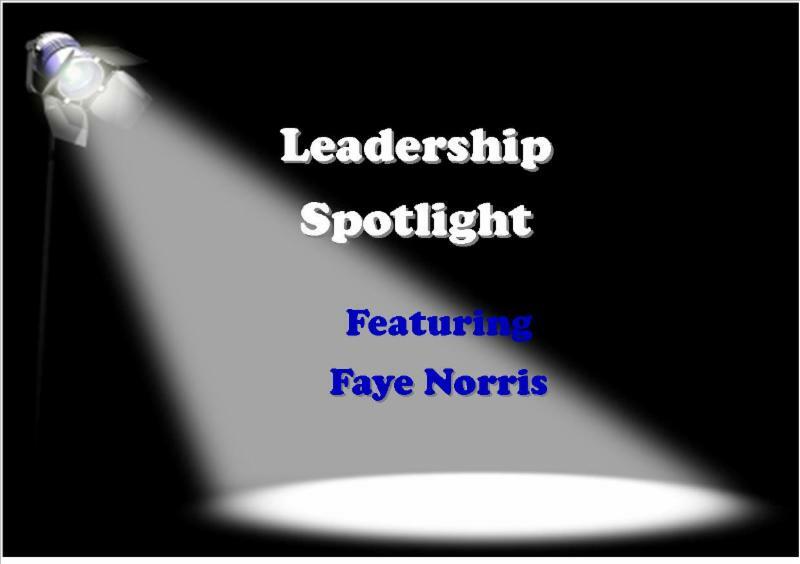 We're shining the March Leadership Spotlight on Faye Norris. Remember you own your growth and development, but we're here to help. Our Legislative Conference will be held March 24-26. 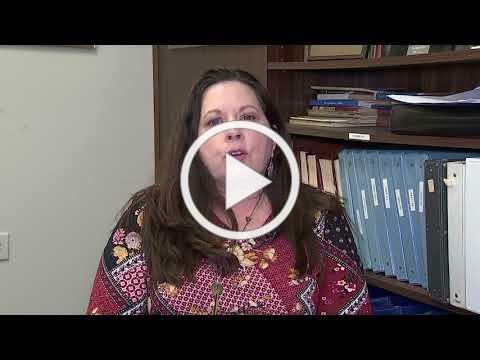 Our President-Elect, Jen Martinez, with a few words about attending our Legislative Conference. If you need to make hotel accommodations, please click here for a list of hotels in the area. Whether you are a social media all-star or new to the game, there are plenty of ways to improve your advocacy efforts online . Next time you’re posting on Facebook or Twitter about a policy issue, consider tagging relevant elected officials in your post. This not only helps alert decision-makers to your stance on an issue, but can help boost your viewership. Check out our resources to help you effectively engage in advocacy through social media. Check out this article, The 3 Elements of Trust by Jack Zenger and Joseph Folkman which was published in the Harvard Business Review. 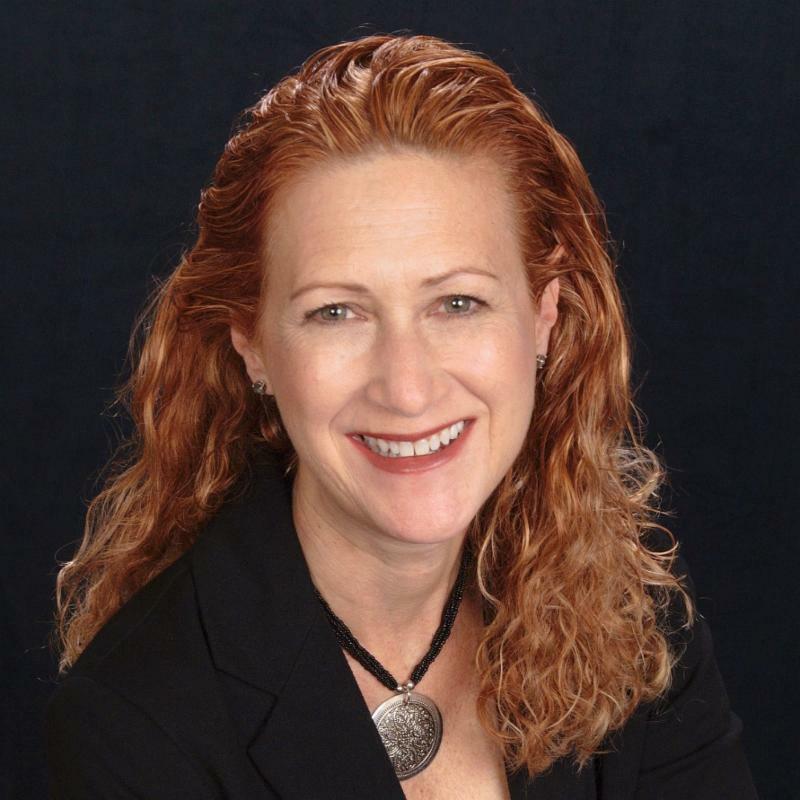 Learn how trust and leadership go hand-in-hand! Check out the Food Research & Action Center's report to see your state's 2017-2018 participation in the School Breakfast Program. ﻿The Education Commission of the States has a new resource comparing school safety policies in all 50 states and the District of Columbia. Hear from many of the members of our Board of Directors and Committee members as to why we need Resolutions! 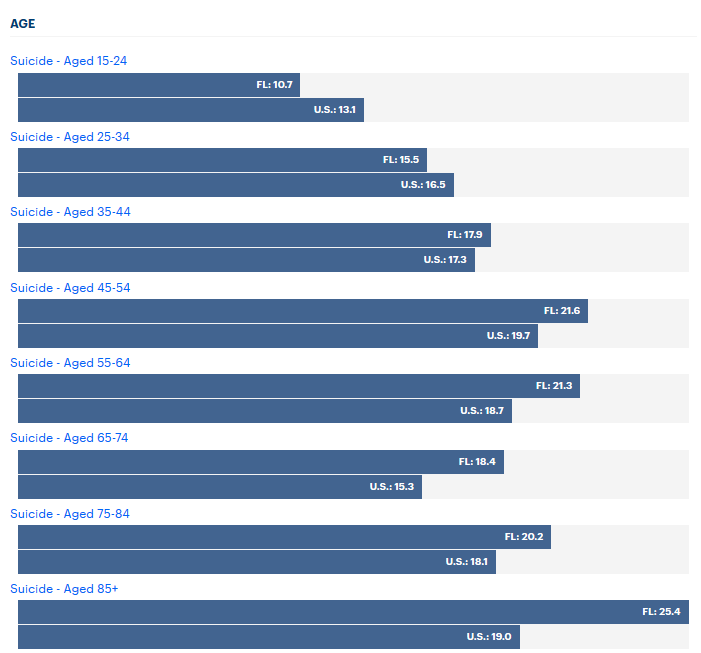 Below is a chart showing death by suicide in Florida for 2018. Contrary to what you may think, talking about suicide is one of the best ways to prevent it. When addressing the topic of suicide, make sure that you let that person know that there is HOPE, that there is HELP, and there is HEALING. More often than not, that person wants to end the pain, not necessarily their life. If you or someone you know needs help, here are some resources from NAMI. Awards - Deadline is May 1st! Do you want to say thank you to your hardworking PTA board members? Need a new way to celebrate a successful PTA year? Plan now to apply for Florida PTA Awards and attend the Awards Event at Florida PTA Leadership Convention at Innisbrook in July! The Awards Event Luncheon will offer several meal selections ranging in cost for your budget consideration ($34 to $42). More information will be available soon. This event will be a great opportunity to celebrate with your board and get great ideas for other effective programs. Is your successful PTA, or involved individuals, interested in sponsoring a table or a seat for another? We would like to recognize you or your PTA for this outreach during the event! Now is the time to look over the variety of awards that are available and apply for all that relate to the activities of your PTA/PTSA or County Council. 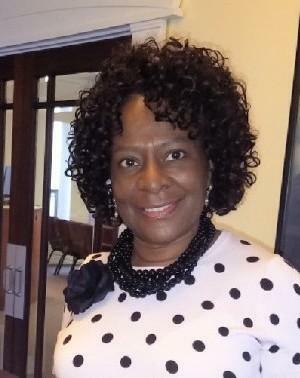 There are many Membership awards, some request additional application information. There is information to assure that your PTA is eligible and compliant. Applications are available online so apply now! 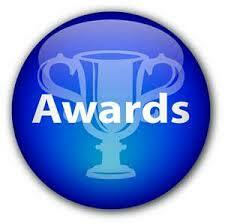 Beginning now assures that there is time to apply for all awards that your unit may qualify to receive! All applications and related membership payments are due by May 1, 2019. We look forward to celebrating with you and your PTA/PTSA or County Council! What time is it? – It’s the perfect time for a Mid-Year Check-Up ! Can you believe it? The school year is nearly over, and we are hastily approaching Spring Break! Aside from the perfect time to recharge and rejuvenate, this is the perfect time to perform a quick Mid-Year Check-Up of your PTA/PTSA. Is your PTA progressing toward the goals that were established at the start of the year? If not, what adjustments should be made to get back on track with those goals? Has your PTA met its membership goals for year? If not, what efforts are being made to get back on track and exceed last year’s membership by at least 1%? If you’ve met your goal, could you re-assess and set the bar even higher? Remember, FL PTA recognizes local units for their efforts in growing membership. Awards applications are found on our website. Has your board reviewed the Florida PTA Standards of Affiliation lately? This is a great time to double check all requirements and make certain that your local unit is 100% compliant! Have you met with your school’s principal or other designated school partner? This partnership is so important to ensure that your PTA/PTSA and school goals remain aligned and PTA mission-focused. How is your budget looking? Based on how the year is going, do you need to make any adjustments? Is anyone feeling overwhelmed? If the answer is yes, then pause and take a DEEP BREATH! Discuss if duties need to be reassigned or if sub-committees need to be formed to spread the workload. You have a PTA filled with volunteers, but they won’t know that you need assistance if you don’t ask. Has your PTA/PTSA reviewed/amended the budget to allow volunteer leaders to attend the FL PTA Legislative Conference and the Annual Leadership Convention at the Innisbrook Resort? If not, this is the perfect time to ensure that your volunteer leaders are actively engaged in FL PTA’s legislative and advocacy efforts as well as receiving phenomenal training that’s provided at Leadership Convention. Make certain that the minutes properly reflect the names of those volunteer leaders elected as delegates to such events. Is your board prepared for the transition of members whose terms may be expiring at the end of the year? By now, there should be leadership development and capacity building efforts taking place to fill those roles. Elections will be upon us soon, so get the word out early, to allow volunteers the time to consider the opportunity to serve. If individuals are unsure, they may want to research, ask questions, or even shadow an outgoing volunteer leader. Most importantly, don’t forget to celebrate your successes thus far! It can be a lot of hard work getting through the year so celebrate all that you and other volunteer leaders have accomplished! Member: $85 Early Bird/$105 after July 1st. On-site registration for members: $125. Non-member: $150 Early Bird/$175 after July 1st/On-site registration for non-members: $200. Please listen as our Florida PTA Secretary, Alvin Gainey, gives some insight into why you would benefit from attending our Leadership Convention in July, especially a first-time attendee! The Florida Department of Law Enforcement (FDLE) Missing Endangered Persons Information Clearinghouse (MEPIC) is now accepting nominations for the 2019 Florida Missing Children's Day (FMCD). This annual event features a formal ceremony in remembrance of Florida's missing children and an awards ceremony in which we recognize citizens, law enforcement officers, and K-9 trailing teams for their exemplary efforts when investigating missing persons. Governor Ron DeSantis will address victims' families, children, non-profit missing person groups, law enforcement officers, and legislators who will be in attendance. The second component will be a child safety presentation for fifth grade students. During the ceremony, law enforcement officers, child heroes and others are recognized for taking action to rescue missing children or prevent abductions. The nominations must be returned by the deadline, which is Friday, May 31st, 2019. The Florida Missing Children’s Day winners will be selected by the FDLE Missing Endangered Persons Information Clearinghouse Advisory Board. Florida PTA is represented by FLPTA Treasurer Karen Mazzola on this board. For further information, please contact the Florida Missing Children's Coordinator at (850) 410-8585 or send an email to: fmcd@fdle.state.fl.us .